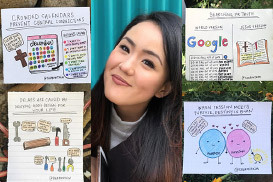 The Church of Scientology has said the murder was incited by the show’s efforts to “poison the airwaves” to “create hatred” towards Scientology. 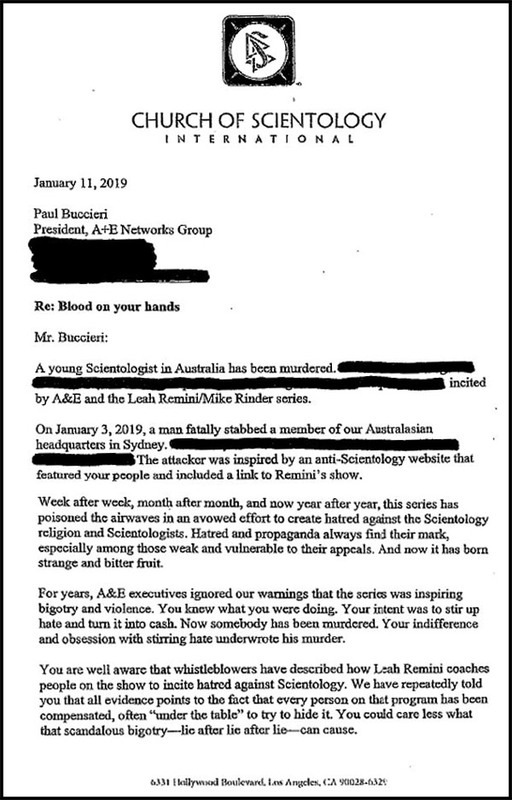 The Church of Scientology has issued a letter Re: “Blood On Your Hands” to A&E networks President Paul Buccieri, assigning blame to actress Leah Remini and the network for the death of 24-year-old Scientologist Aaron Yeh, who was murdered by a 16-year-old boy outside the Church of Scientology’s Australian headquarters in Sydney. The 16-year old boy “was being escorted off the premises by the two victims when he allegedly drew a kitchen knife and attacked, stabbing one in the neck and slashing at the other man,” according to CNN. The boy was arrested and charged with murder, common assault and assault occasioning actual bodily harm and affray. 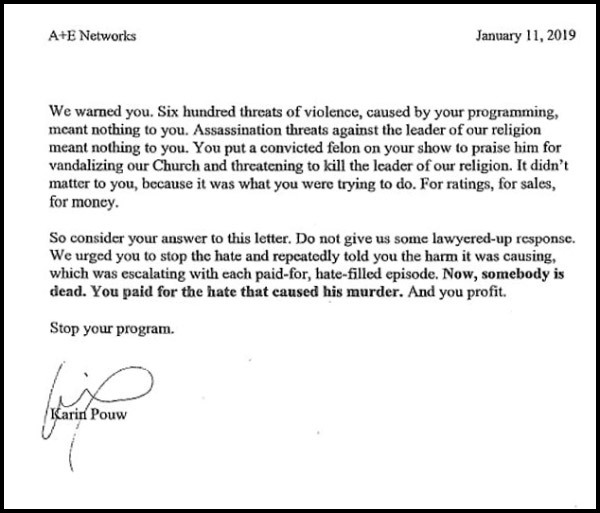 The letter sent to the president of A&E Networks, Paul Buccieri, by the Church of Scientology International on January 11, 2019. 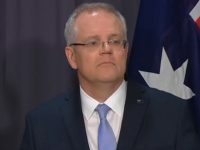 “On January 3, 2019, a man fatally stabbed a member of our Australasian headquarters in Sydney. Previously the assailant had stated his intent to burn down the Church. 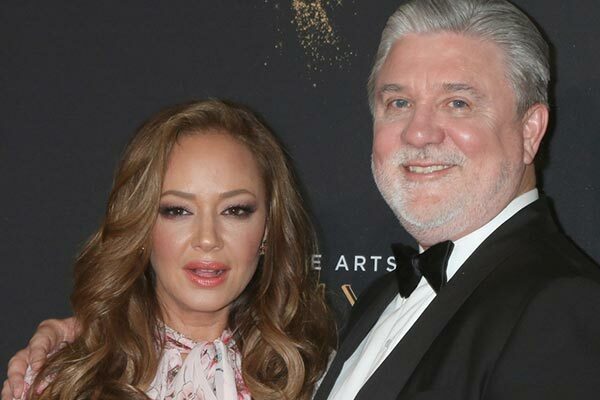 The attacker was inspired by an anti-Scientology website that featured your people and included a link to Remini’s show,” wrote Scientology International Spokesperson Karin Pouw. 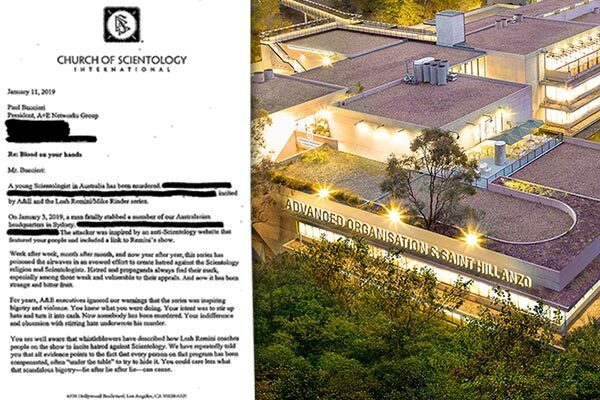 “You are well aware that whistleblowers have described how Leah Remini coaches people on the show to incite hatred against Scientology. 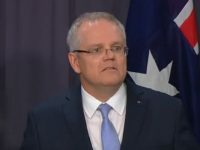 We have repeatedly told you that all evidence points to the fact that every person on that program has been compensated, often ‘under the table’ to try to hide it. You could care less what that scandalous bigotry — lie after lie after lie — can cause,” Pouw continued. 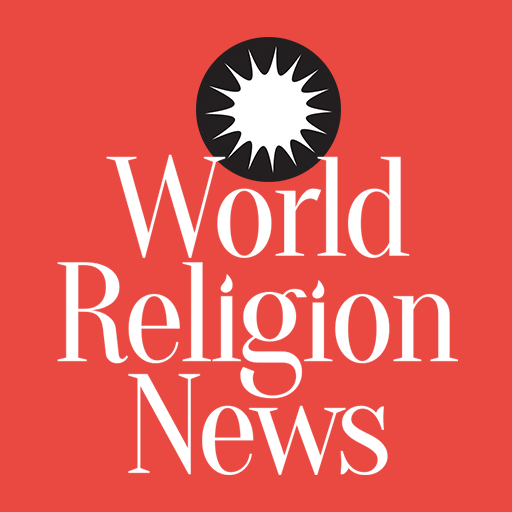 “Week after week, month after month, and now year after year this series has poisoned the airwaves in an avowed effort to create hatred against the Scientology religion,” states Pouw. The letter ends with an unequivocal statement, “Now somebody is dead. You paid for the hate that caused his murder. And you profit. 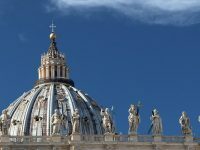 Stop your program.” Pouw signed the letter.